There are times when a situation calls for something more rugged than standard Closed Circuit Television (CCTV) cameras and that is when it's time to consider heavy duty CCTV cameras. Heavy duty CCTV cameras are built tough to withstand use and abuse and still keep working. There are times when a situation calls for something more rugged than standard Closed Circuit Television (CCTV) cameras and that is when it’s time to consider heavy duty CCTV cameras. Heavy duty CCTV cameras are built tough to withstand use and abuse and still keep working. A standard digital video color security camera has no moving parts unless it contains additional features such as Pan-Tilt-Zoom (PTZ). The PTZ function works by using servos or motors to move the position of the camera up and down or left and right to increase the camera’s field of view. Zooming involves moving the lenses in such a way as to enlarge the size of the target. Most heavy duty CCTV cameras have these movements reinforced in some manner so that they do not become a factor in making the camera more susceptible to damage. Since the average camera has no moving parts per se, that contributes greatly to making the camera inherently rugged. In order to understand this concept of no moving parts, the following is a brief description of how the typical digital video camera works. Light images enter the camera through the lens. If the lens is a fixed focal length lens (i.e. not a zoom lens) there is no need for it to move. As the light passes through the lens, the lens focuses the image on an electronic sensor that usually ranges in size from 1/4 to 1 inch square. The sensor is an electronic component that can change light energy into electrical energy that can be measured. The electrical energy is compiled into a signal which passes through an analog to digital circuit that converts the signal into binary or digital format. The digital information is then sent to a Digital Video Recorder or DVR via a digital video transmission cable or, if the camera is wireless, as a radio signal to a corresponding receiver. Note that none of these processes involve moving, mechanical type parts. The lack of moving parts is one less factor that could contribute to the “sensitivity” of a heavy duty CCTV camera. Not that a camera with moving mechanical parts can’t be used as a heavy duty CCTV camera, it’s just that this is one additional advantage of the construction of these cameras. By comparison, think of a typical camcorder that records its video image to a tape, DVD, or a hard drive. Drop that camera one time on a hard surface with some respectable force and chances are you’ll be sending it in for repair or replacement, and chances are the moving mechanical parts are what break. So what kind of heavy duty CCTV cameras are available? 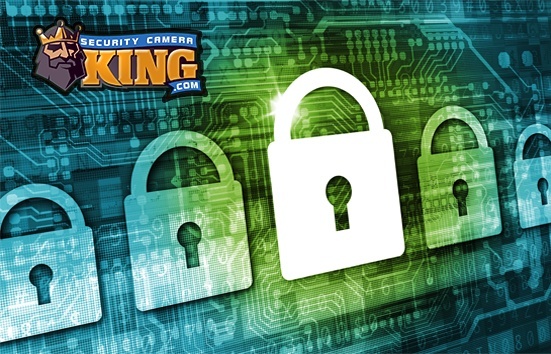 Generally, security and surveillance applications can be classified into two types, indoor and outdoor. Indoor cameras are made with no additional protection from water, wind, hail, etc, as they are designed to be used indoors, under the protective cover of a room. Outdoor cameras are one type of heavy duty CCTV cameras that are designed specifically for the purpose of being used outside without the protective cover of a room, roof, or building. These cameras differ from indoor cameras in that they are contained within a protective enclosure. Normally, the enclosure is a heavy duty metal box or molded Plexiglas or Lexan. Heavy duty CCTV cameras for outdoor use are often rated by the manufacturer as to their ability to protect the camera from foreign objects. One common standard that is used is called the International Electrotechnical Commission’s (IEC) Ingress Protection rating or code also called an IP code or rating. The IP code consists of two digits; the first digit represents the degree of protection from solid objects and the second digit represents the degree of protection from liquids. The first digit of the IP rating (solids) ranges from 0 to 6, where 0 represents no protection and 6 represents absolutely no penetration from dust or other large objects. The second digit ranges from 0 to 8 where 0 represents no protection and 8 means the camera is protected from liquids to the extent that it can be submersed in water beyond 1 meter in depth. The highest IP rating is IP68. 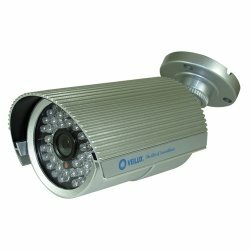 There is also a wide variety of specific use heavy duty CCTV cameras. These cameras may be manufactured in such a way that they are marketed as vandal proof or even explosion proof. These cameras may use special mounts designed specifically for that purpose.